The wine industry has lots of dirty secrets. From consuming water in times of drought to using roundup to control weeds, wine grape growing can have its toll on the environment and human health. There is a solution: Sustainable wine! I love wine. It brings me pleasure to have a glass in the evenings after dinner, but this joy would be tainted by eco-guilt if I did not commit my wine drinking to only sustainable and/or organic vineyards. How is sustainable wine different? We were sent two bottles fo wine from Lodi, California that Certified Green by Lodi Rules.2)http://cld.bz/xAHQKTo#20 I wish I could describe the lovely flavors of these vintages, but I am not a wine connoisseur of that sophistication. 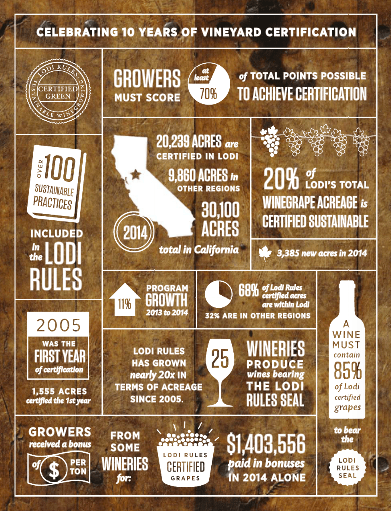 Lodi Rules has been certifying wine as green for ten years. Most of those old vineyards have been dry-farmed for years. At Smith-Madrone, Stuart Smith has become convinced that dry-farming is the way to go, not just because he thinks it results in better wine but because water in California has always been a moral issue. He said he’s seen far too many vineyards irrigated to achieve a garden-like beauty, to the detriment of both wine and water supplies. From Bokisch Vineyards we received a bottle fo Albarino. This vineyard is also green certified and specializes in Spanish wines. Alternative Fuel Use : By 2009 we will be converted to biodiesel for our tractors & equipment. 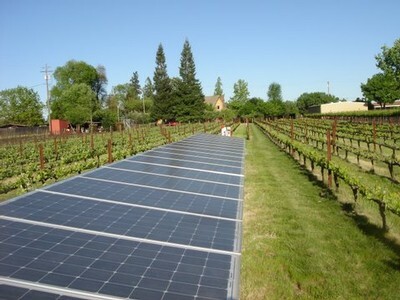 Alternative Energy Use : In 2004 we installed a 22.5 kilowatt solar energy system for two irrigation pumps covering 70 acres of vineyard, our main shop and two homes. Human Resources/Labor Relations : We maximize our ability to provide year round employment for our vineyard employees to better serve our community. Integrated Pest Management : We limit our pesticide use to a bare minimum in all our vineyards and have farmed 35 acres of vineyard organically for eight years. Creating and maintaining owl habitat helps us control our gopher and meadow vole populations naturally. See pictures and read about our Owl Condos. Air Quality Control : We cover crop our vineyard rows and avenues to minimize dust. Soil & Water Management : We minimize irrigation and erosion in order to maximize nutrition in our soils which results in higher, more concentrated fruit quality. Land Stewardship : We combine our management of agriculture with the ecosystem by providing riparian zones, oak woodlands and by maintaining vernal pools. Although there are some general commonalities in sustainability across industries, true sustainability varies by region and local micro climate. What one vineyard needs to do to be sustainable may differ from another vineyard in practicality and implementation. 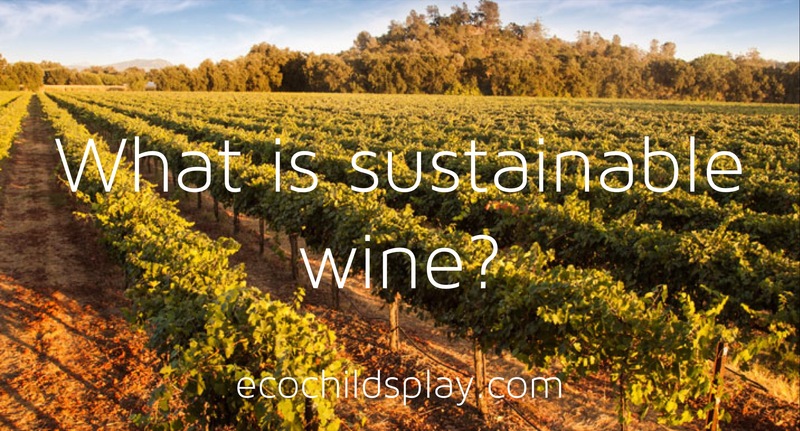 What I love about sustainable wine compared to simply organic wine, much of which has gotten a bad rap for quality, is sustainability takes into account more than just pesticide, herbicide, and fertilizer use. It takes into consideration the human resources and community. This is where many sustainable enterprises vary. This comprehensive approach is what makes wine sustainable with no loss to quality. Sustainable wine allows for guilt-free enjoyment! It is socially and enviromentally responsible. « Does zero waste mean absolutely zero waste?